@OUATitalianfan I doubt it, but you can keep trying..
@wallabear03 WHAT DO YOU MEAN!!! @whitedogtech someone should let you out then? 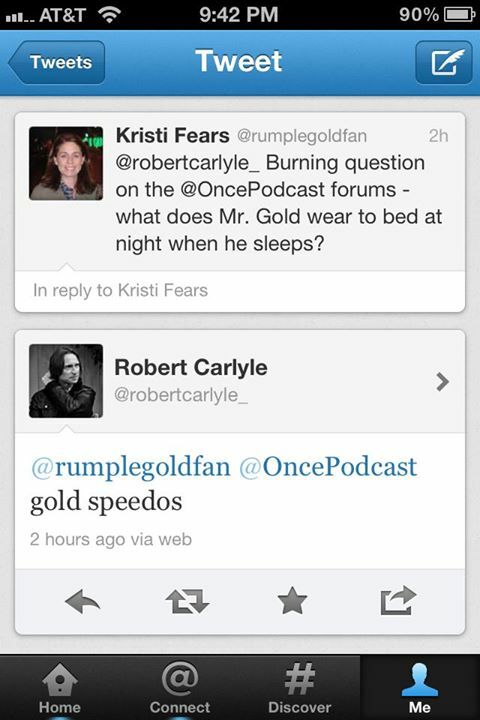 @robertcarlyle_ @Chaiwigley Which line was that? @robertcarlyle_ Where can we watch California Solo? @Loarfy a special substance called "Floof"
@robertcarlyle_ If you could spend a day with any of your characters who would it be? And yes, I know I'm a cat.